Built to replace the HE grenade in Counter-Strike Halflife. Installation: Just extract the files to your cstrike-folder. Be sure that the given pathes are used! I also wanted to make new sounds, but this is not as easy as I thought. If anybody knows how to do it, please mail me ([email protected]). Suggestions, ideas, anything at all is welcome. Just e-mail me. Be careful with hostages, they are allergic against doener´s. 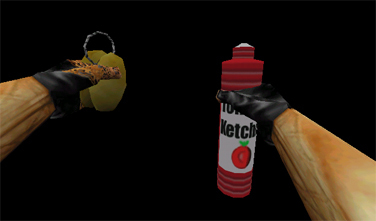 Looking at the custom grenade models of a random Counterstrike site – this one is still way cooler then those!